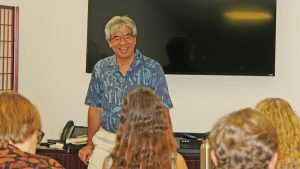 Maui Business Brainstormers invites Maui business owners to its “Rock Your Business in 2019” event, a series of free educational workshops being offered during January. 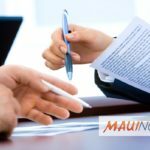 Three guest speakers who are business owners and leaders here in Maui County will present On Jan. 3, 2019, describing strategies to integrate a business’ core values into marketing, sales and service standards. 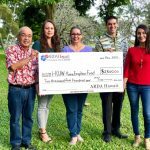 Speakers include Debra Finkiewicz, owner of The Maui Closet Company; Diane Haynes Woodburn, publisher of local magazine Maui Nō Ka ʻOi; and Alyson Winters, district manager of Food Pantry. Debra Finkiewicz, Diane Haynes Woodburn, and Alyson Winters will be the three panelists for the “Be a Champion of Marketing, Sales and Customer Service” public lecture & workshop. PC: MBB. The lecture will include how to train and engage your employees on the values and standards of your business and how to sustain the standards to create a lasting and consistent experience across your marketing, sales and customer service engagements. The event starts at 1:45 p.m. and ends at 4:45 p.m. and will be held at the Maui County Business Resource Center in Kahului. The lecture is preceded by two other free public workshops. The two preceding sessions include “Be the News” at 9:45 a.m. and WiFi Standards at 11:30 a.m. with Joseph Bardwell. The events are free, but seating is limited and RSVP is required online at MauiBusinessBrainstorm.com.